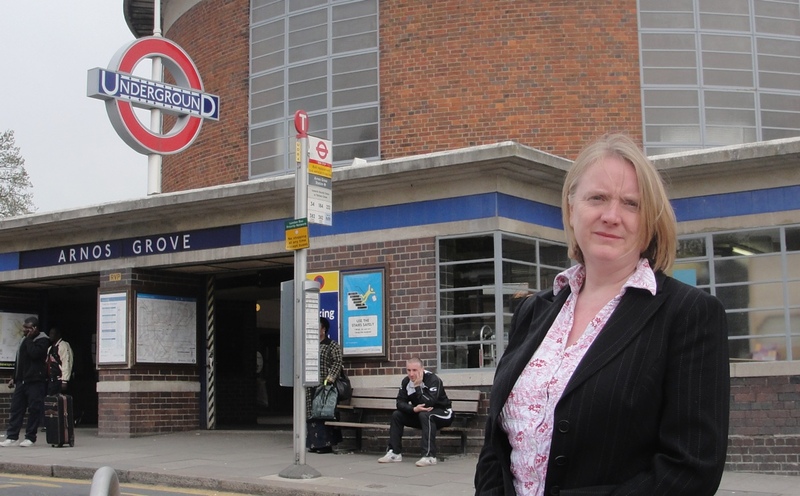 Local London Assembly member Joanne McCartney has slammed Boris Johnson’s decision to slash ticket office opening hours in Enfield & Haringey. Ticket offices in the two boroughs were cut by 78 hours this week. Enfield will see four stations with reduced hours – Arnos Grove, Cockfosters, Oakwood, and Southgate. Haringey will see five stations times with reduced hours – Highgate (hours reduced from 12 hours on a Sunday to 3 hours and 45 minutes), Manor House Tottenham Hale, Turnpike Lane, and Wood Green. The changes come despite Mayor Boris Johnson’s election promise to “defend local ticket offices” and “stop the planned ticket office closures”. In his 2008 election manifesto, the mayor said he would ensure “there is always a manned ticket office at every station”. Across London opening hours are being cut by 30 per cent – or 5,290 hours a week. Transport trade unions say the cuts will turn stations into a “criminal’s paradise”, making them more dangerous and leaving passengers – especially female passengers – more vulnerable to crime and anti-social behaviour. The TSSA union recently pointed to an assault which allegedly took place on an unmanned station. TfL announced last March that 450 ticket office jobs would be cut as a result of the proposed changes. Negotiations over the job losses are on-going and one of the unions involved has accused the mayor of “jumping the gun” by pressing ahead with the ticket office cuts while the dispute is unresolved.